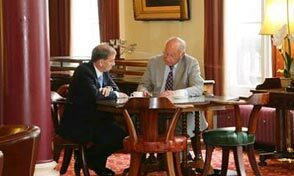 The Athenaeum Liverpool is a private members' club for the professional & community. Get Married at the Athenaeum in 2018 for £4000*. Click here to find out more. From business meetings to private dinners, find out why The Athenaeum is the perfect venue for you. Find out about the history of The Athenaeum and its role in Liverpool's past. Click here to learn about the benefits of Athenaeum membership. The Athenaeum has an atmosphere unrivalled in the City of Liverpool. It provides a distinguished setting for Lunches, Dinners and Buffet Receptions – the perfect place to entertain friends, visitors and clients. Membership to the Athenaeum has much to offer, with its glorious premises providing a haven in the heart of our city, access to one of the best private libraries in the country and a full social programme. Every wedding celebration and Function is individually tailored to the clients requirements offering exclusivity of use of the Athenaeum premises and access to the finest wine cellar in Liverpool. 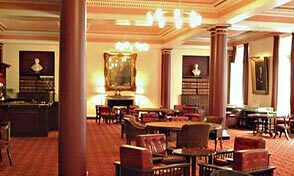 At the heart of the Athenaeum is its famous library. The reading room has been called “one of the handsomest rooms in Europe”. It is frequently used as a TV and film location. The Library has some 60,000 items in stock in the reading room, on two floors, one of which is glass. A further three bookcases stand in the Newsroom and Committee Room housing rare books and the Roscoe Collection.